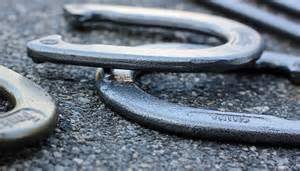 How to Build a Horseshoe Pit - Begin Prepping Now!! 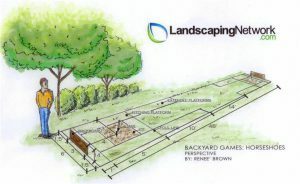 Have you ever considered putting in horseshoe pits? Have you considered them a home defense strategy? Now most of my readers know that I advocate a prepared lifestyle. I don’t think you should live in a bunker, eating powdered eggs and waiting for the big one. I do believe that you and your family should be prepared for as many possibilities as you can think of. I read a lot of prepper books to find what I think are practical and possible for the average family. 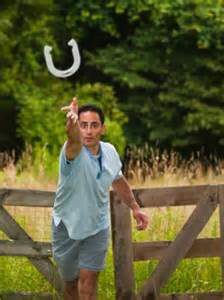 I am sure you are wondering how horseshoes could save your family…so I will expound! There are a couple of reasons why building a horseshoe pit would benefit you. Strength Training- Most of us do not want to come home from a hard day at work and strength train. But if something bad ever happens, having additional upper body strength, a stronger back, more coordination and the skills to throw accurately could be invaluable. For me throwing shoes is far more relaxing than a gym. It is also more likely that I will take a cold drink into my yard and play a game, rather than change clothes and drive back to a gym. Design Feature- Having these pits in your yard can add texture, style and functionality to your home’s landscaping. It is a selling point that can help if you ever chose to sell your home. Tactical advantage- In a SHTF scenario, they can serve as your ‘guard shacks’. I was recently reading a book that talked about having a sniper position in your yard. It was talking about digging holes and then camouflaging them, so you have a place in front of your home to use as a sniper position to hold off attackers, then fall back to your house. I like the idea of forward positions, but the idea of digging some holes in my yard and banking the dirt up facing the road sounds like a mess. If I dug a hole and left it like that, it would be full of black widows. If I covered it, some kid would stumble into it and break something. So I was trying to think of a better hole when I thought of horseshoe pits. It would give you two defensive positions to chose from. Handy Sand- Sand bags are a great ballistic shield. A stack of sandbags can stop bullets and arrows. 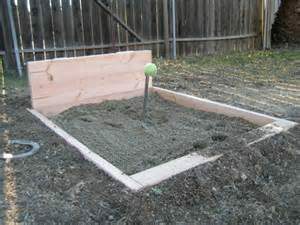 With horseshoe pits in the yard, you have two piles of sand positioned in your yard. You can fill bags and stack them without having to transport the heavy bags. You have the added benefit of digging out the sand to create a deeper hole. Horseshoe pit designs run from the very basic to elegant design features. The amount of time, space and money you have to invest are the biggest factors to consider. I would like to have mine look like a natural part of my yard. An extension of my style. I want to build a set of pits that is standard regulation size. If you can throw regulation shoes on a standard field for a full set…you will be in good shape. I haven’t pitched shoes for a while, so I will probably paint sissy lines to start with. It’s just shortening the throwing distance for beginners. Choose the position of the pits with a tactical mindset. You can choose to have one closer to your home, and one further away. In my case, I live on a hillside, so my pits will be equidistant from the house so they are level to each other…one to the left and right of the front door. I am still considering the exact design for mine, so I will show you some ideas I have found. I hope that these designs will show you how to build a horseshoe pit that meets your needs and enriches your family time. The basic design is simple. You should have a sand pit of the correct dimensions. You should have a backer board to catch the shoes and keep sand contained. The pin should lean slightly forward. Lighting is nice, but a wild throw could damage lighting. Be sure to keep lighting at a safe distance and off to a side. I would either make tall backer boards that you can lean on, or make them bench height for additional seating. 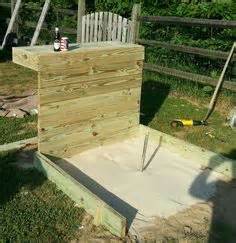 You could even make a hinged top on a bench to create a storage area for shoes or other yard toys like lawn darts. Some people build a pit, then bank up dirt, and plant grass, so it just rolls into the contours of the yard. I remember when in the boy scouts their motto was to be prepared. This is just an extension of that motto and one that provides a bit of enjoyment too. Being ready for any event is a really good idea and one that I will now consider for the future. Thanks for reminding me of the need to be prepared. I am always glad to hear from folks who are reminded of truths they already know. It is easier to get back to a prepared mindset than to build one. I think we all get lulled into complacency about different areas of our lives. It is important to recognize it and practice being aware of our situation. Things change…that is a fact. Much like Joseph, often God gives us a season of plenty so that we have time and resources to store up before the famine comes. It is a blessing if we see it as such, and do the work to store up for the lean times. They always come too.